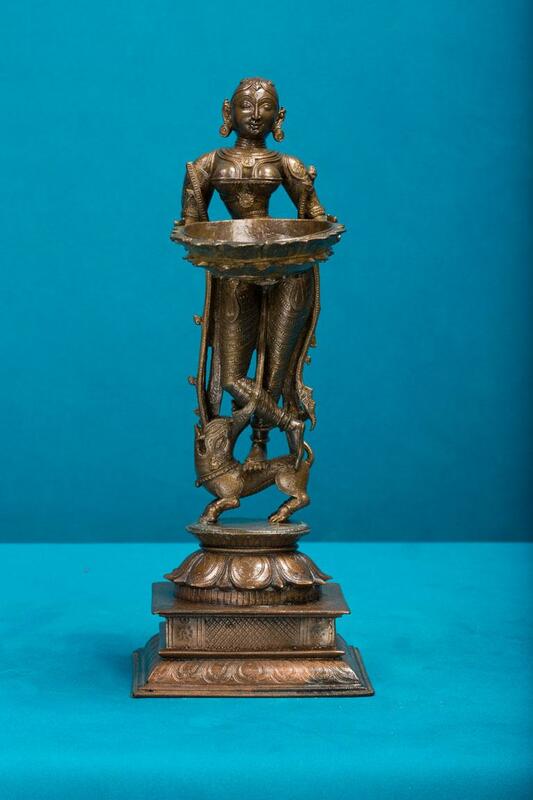 Bomma Vilakku is an oil lamp exquisitely designed to look like a vessel held in the hands of a lady. Here in this artifact, the lady is seen standing on an animal on a lotus pedestal. The vessel that the lady holds provides the space required to fill the oil and place the wick to burn.